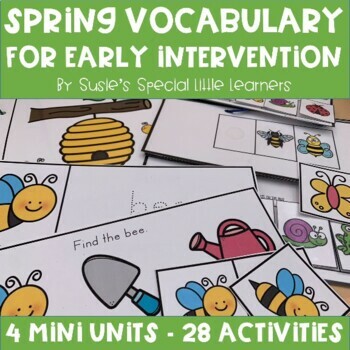 Build early literacy skills and language with this differentiated dressing for winter vocabulary bundle. 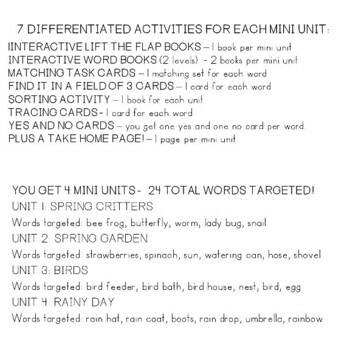 I developed this unit to incorporate vocabulary, for a diverse group of learners, into multiple activities throughout the day. My students learn through repetition, and benefit from targeting vocabulary into various activities across the school day. 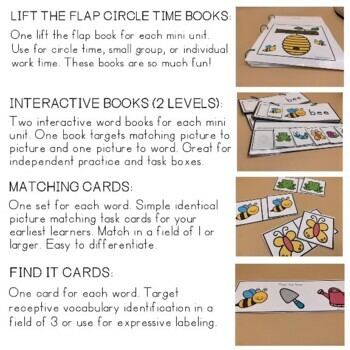 This product contains more then 50 pages of colorful, leveled learning materials including a circle time book, interactive vocabulary book, interactive simple story book, take home book, leveled task cards, leveled matching boards, word wall cards, and tracing cards. Half size book with a full-sized last page for storing movable pieces. Each page features a simple repetitive sentence to describe the bright and colorful picture. A black line half page book featuring one picture and a simple sentence on each page. 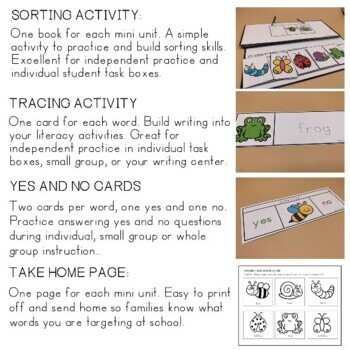 Task cards are great for teaching in a field of one or two for early learners or independent work for students with more skills.